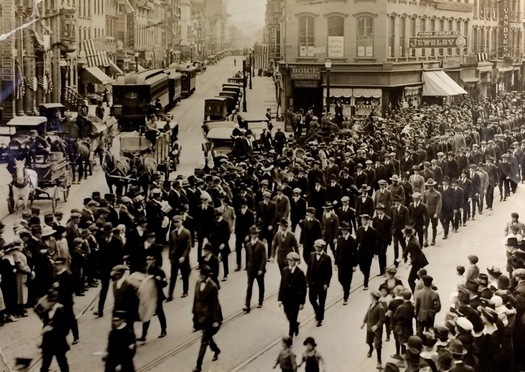 This photo is of a "Liberty Loan" parade in May of 1917, according the label on the folder it was in. 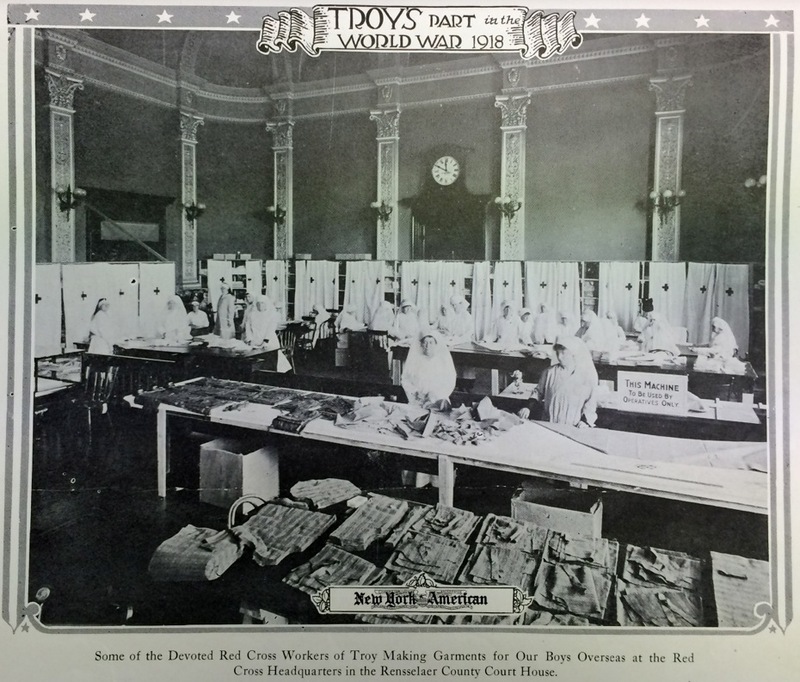 Liberty Loans were bonds sold to finance the war effort. This scene, and the next one, are from a series about wartime Troy in 1918. Troy's Union Station is no longer there -- it was on Sixth Ave between Fulton and Broadway (there's an office building there now). It was torn down in the 1950s. Inside the Rensselaer County Courthouse. 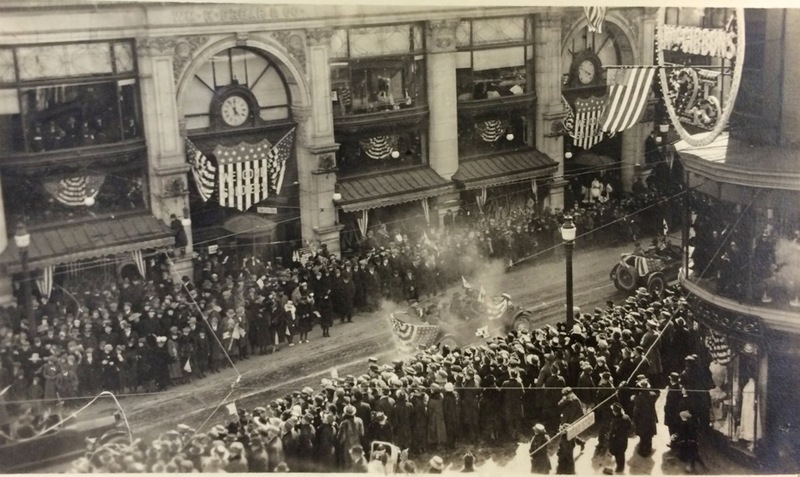 From what we can tell, this is from a welcome home parade for soldiers. That's the Frear Building on the left, and what's now the Market Block building on the right. Both of which still stand, of course. The Quackenbush Building at night. The building served many years as a department store. It's now the home of the Tech Valley Center of Gravity. Love that big light-up Q. We're not sure when this photo was taken. The stamp on the back is "Mrs. M.T. 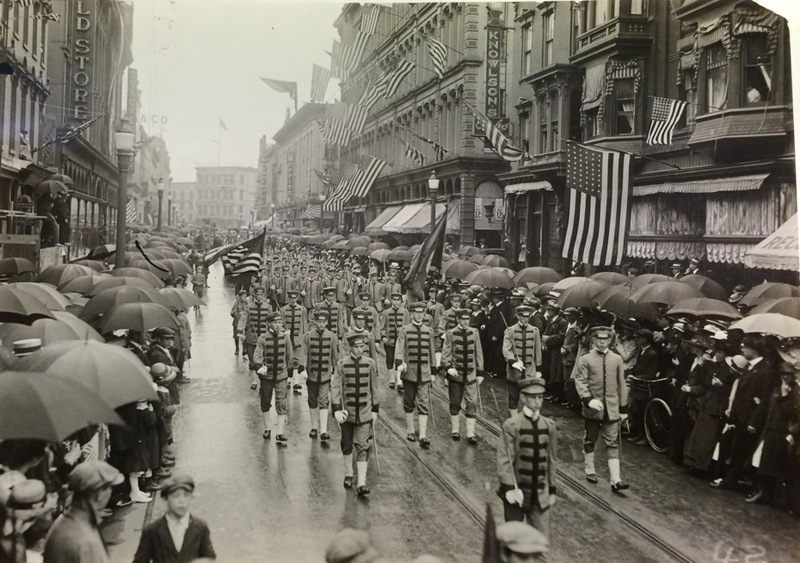 Ryan / City Historian / Troy, N.Y."
Check out the photo above -- it's from a parade in downtown Troy in 1917. That intersection is River Street and 4th Street. It looks rather different today. 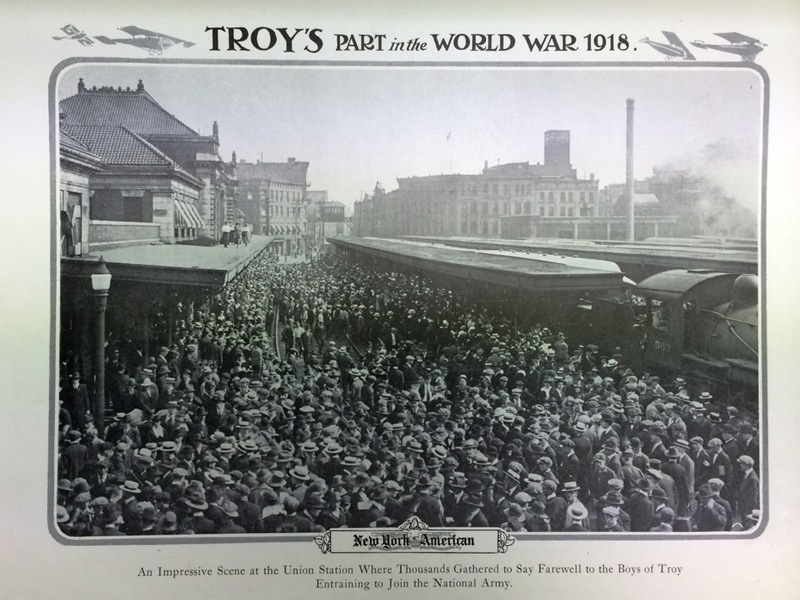 The photo is from a collection of materials in the NYS Archives about Troy during WWI. 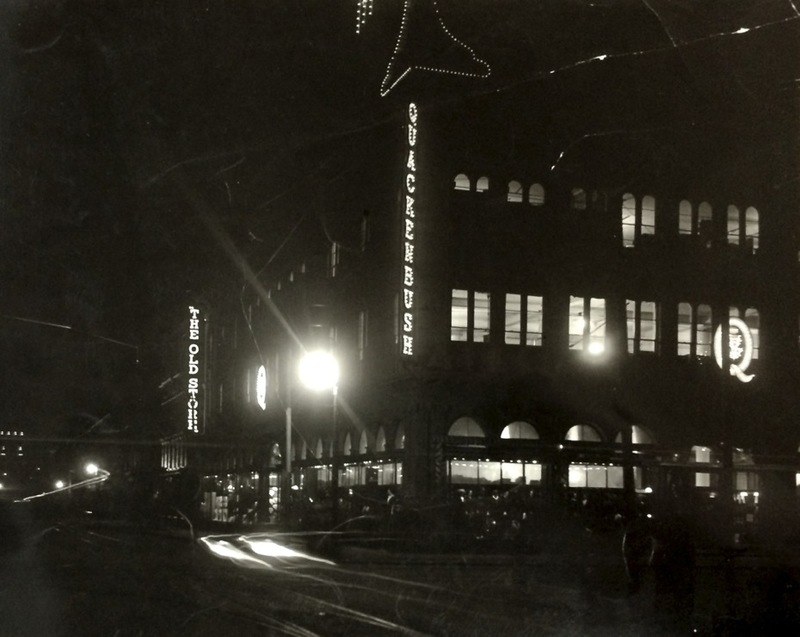 We were tipped off to the collection by Christopher, who noticed an interesting photo of the Quackenbush Building at night and sent it along to us. (Thanks, Christopher!) 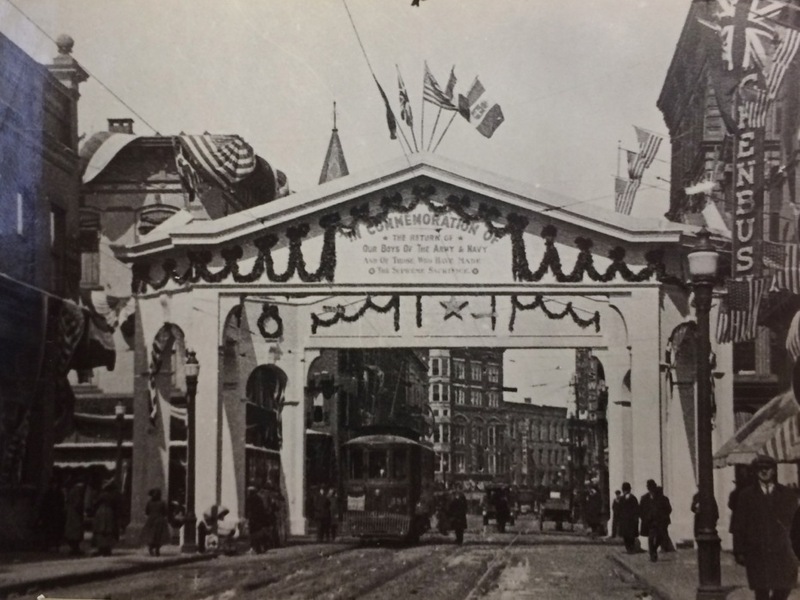 The collection provides a few glimpses of downtown Troy as it was roughly a century ago. The photos are above in large format -- click or scroll all the way up. Comparing that 4th and River St photo to the "today" shot hurts my eyes. I've always felt that Troy is so cool because so much of it has remained intact from so long ago. But the stuff that did change significantly (the intersection mentioned above, the Atrium, the recently razed City Hall) is quite painful and sticks out like the sorest of thumbs. Everytime I see pictures like this, it just makes me think of how much America has declined. We went from these amazing buildings and vibrant city neighborhoods to parking lots, big box stores, and plastic vinyl covered box houses in the cheesy suburbs. Cities and parking lots are incompatible. The Capital Region does not seem to understand this. Very awesome! I LOVE seeing photographs of Troy! 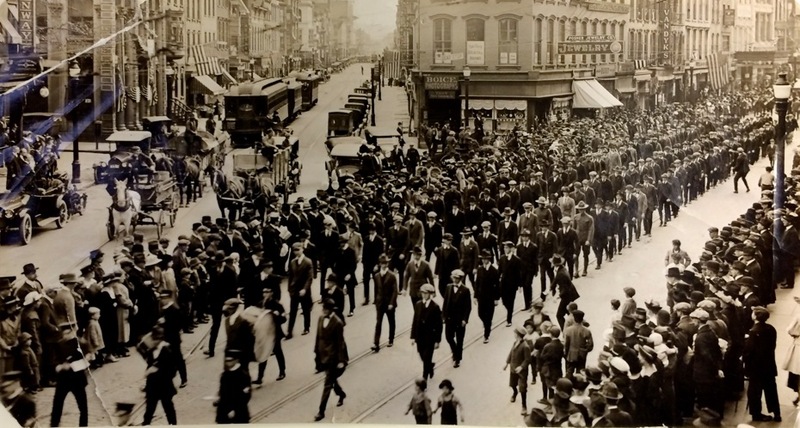 Hundreds of more photos like these at the Rensselaer County Historical Society archives room.